Banyana Banyana took on a different type of exercise this morning in Durban as they went on an early morning walk with some of their fans joining them. They face Jamaica on Sunday in an international friendly match and will be hoping for an electrifying atmosphere at the Moses Mabhida Stadium. With less than 70 days to go before the Fifa Women’s World Cup, the weekend fixture will be their last on home soil before they head off to the global spectacle. 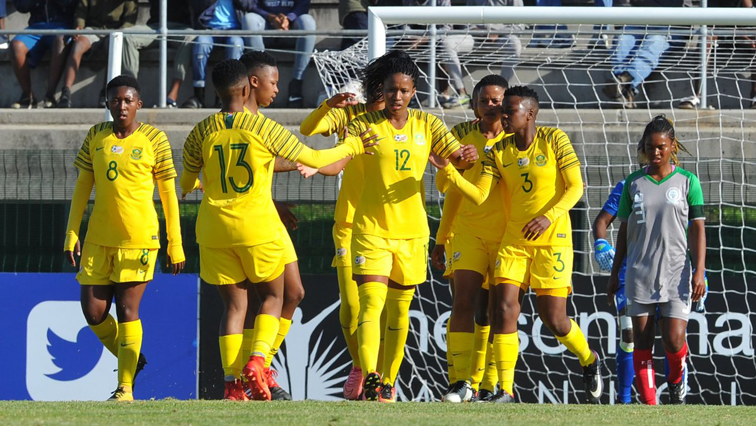 Banyana Banyana are well into the serious preparations for the FIFA Women’s World, which takes place in France in June. The last time Banyana Banyana played in Durban was during the 2012 Olympic qualifiers against Tunisia. After an eight year absence, they return to the coastal city to play in a farewell match before another major tournament. It will also be their first appearance at the Moses Mabhida Stadium. Banyana midfielder Leandra Smeda says the weekend fixture will be their last on home soil. Banyana are excited about their international friendly match. Goalkeeper Andile Dlamini has urged the country to support the team at the Moses Mabhida Stadium in Durban. Banyana are excited to be playing Jamaica. Having faced four European teams this year alone, this match provides them with different dynamics. They face a team that will also make its debut at the World Cup and they hope to put on an impressive performance. The post Banyana play Jamaica in preparation for FIFA World Cup appeared first on SABC News – Breaking news, special reports, world, business, sport coverage of all South African current events. Africa's news leader..